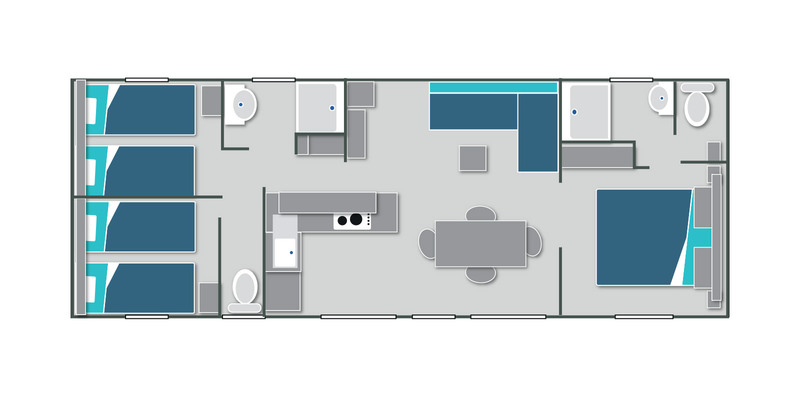 A modern and spacious mobile home, the Premium offers a living area of more than 38 m2 that can accommodate up to 6 people in optimal comfort: around a vast living room are 3 bedrooms, including a master suite that has its own bathroom and independent WC. The two single-bed rooms also have a separate bathroom and toilet. 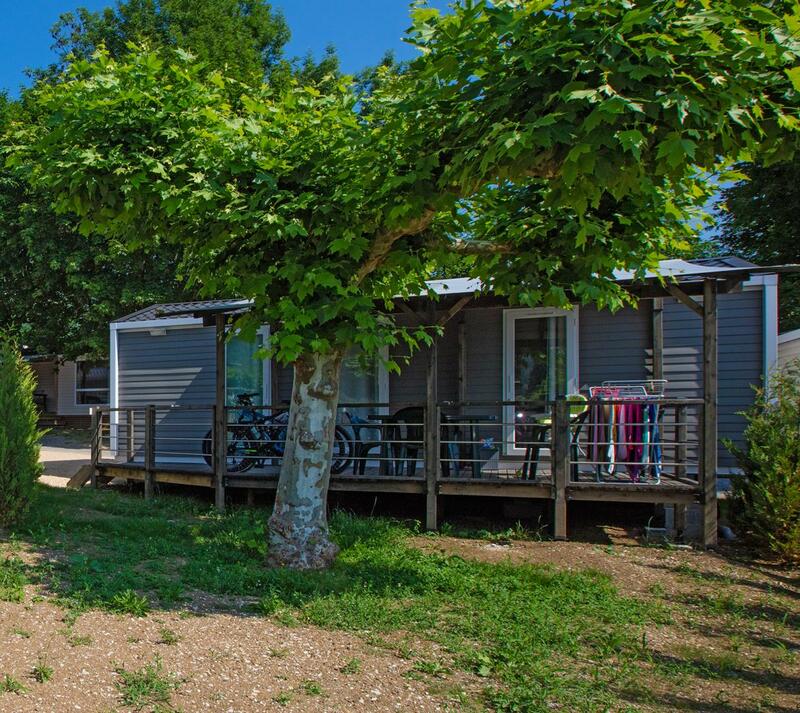 This large air-conditioned mobile home is ideal for holidays with family or friends. In the living room, the dining area with family table and equipped kitchen is quite distinct from the living area with its corner bench, coffee table and television. 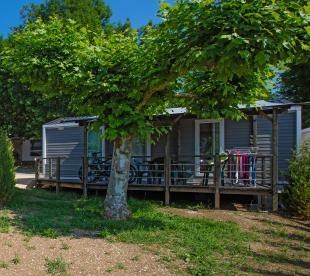 The kitchen area provides guests with dishes for 6 people, a sink, cooking fires, a refrigerator and a microwave oven. Outside awaits you a large covered terrace with garden furniture.